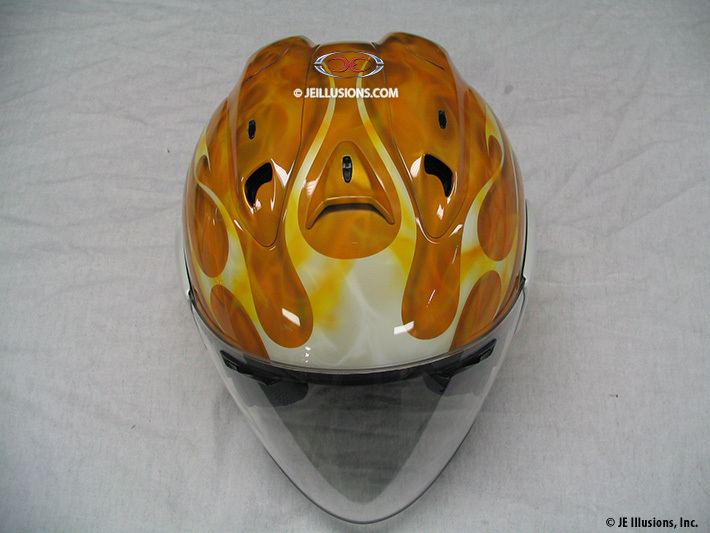 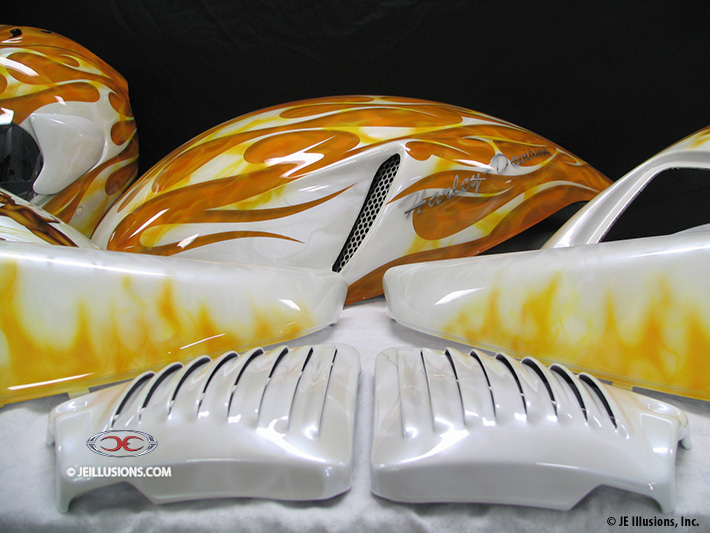 This excellent paint design includes a pearl white under-base that turns into a simple tribal blade design running down the airbox cover and both sides of the back fender and all over the helmet. 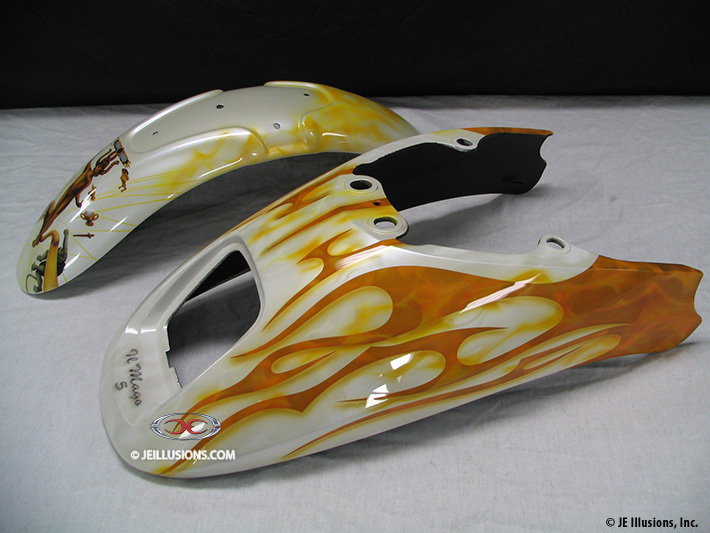 Between the blade design is our hand air-brushed realistic flame pattern done in ultra-orange and yellow with very subtle flames running on top of the blade design as well. 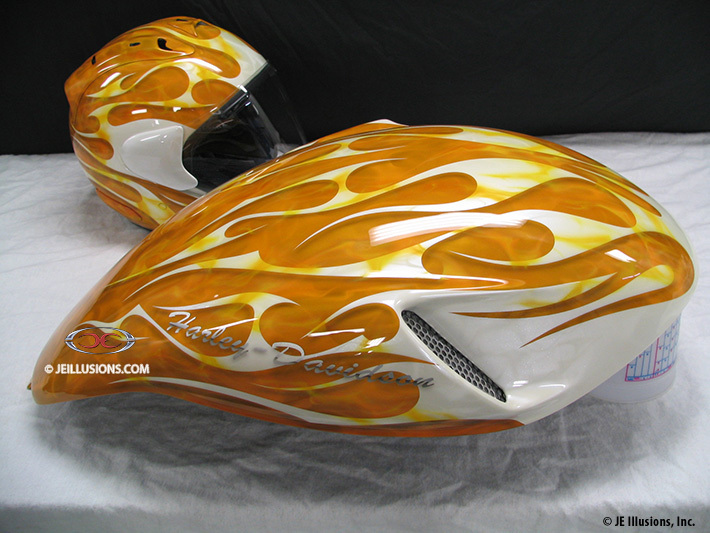 Located on the front fender is a very detailed illustration of The Magus The Magician with all his tools of power.